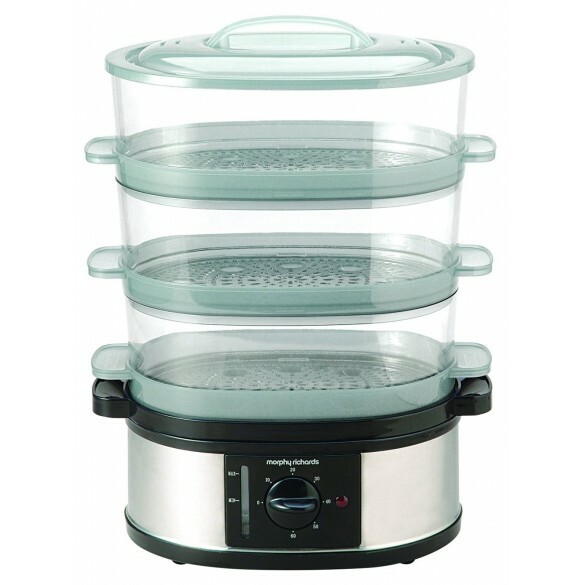 Morphy Richards 3-tier steamer with polished stainless steel base. Features 60-minute timer with bell. Instant steam production - immediate cooking.